First, let me get this out of the way: a diploma IS just a piece of paper. It might be a fancy piece of paper, with calligraphy, and an impressive gold seal, but ultimately a diploma is a glorified certificate of completion. It will look nice on your wall. It will NOT get your child into college or university. At this moment you might be thinking that I am completely nuts. After all, hasn’t it been drilled into our heads for decades that we need to get a high school diploma? Yes, but a diploma just means that a student has completed high school. That is why colleges don’t ask students for a copy of their diploma; it doesn’t tell them anything more than that. Once you let go of “the diploma” as something you need to have, the homeschool path to college becomes much clearer. As you may have already noticed, once you begin homeschooling there are a lot of things that people assume are necessary that really are not. A diploma is one of those things (however if you still want to give your homeschool graduate a diploma, you most certainly can!). 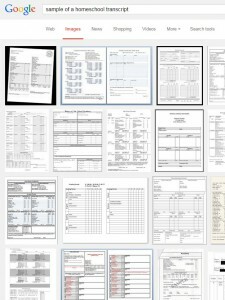 Just Google “sample of a homeschool transcript” and you will find a ton of them! 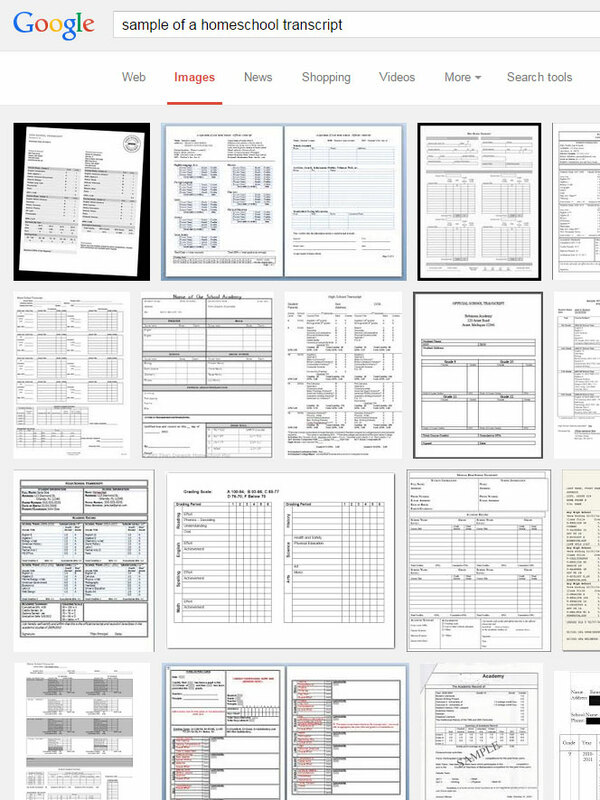 What is necessary, in fact in most cases crucial, are homeschool transcripts. A transcript is a listing of all the classes your high school-level homeschooled student has taken, with the grade they achieved. It will be the most scrutinized piece of information that any college or university will look at to determine if your child meets the criteria to become a student at that institution. 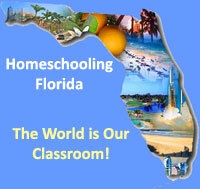 In the state of Florida, the parent of a homeschooled child is required to keep a portfolio of the student’s work. We are not, however, required by law to keep transcripts. I believe that is one reason why this important piece of the high school homeschool puzzle is overlooked. It is also one of the reasons why parents are confused or intimidated by the idea of creating a transcript for their child. As the director, principal, guidance counselor, and lead teacher of your child’s school, you are the one who not only directs their learning, but also knows what they have studied and what they have achieved. A good analogy is to view the academic transcript like an academic résumé for your child. It gives an overview of their academic experience and achievement. Although test scores from the SAT and ACT are important also, transcripts are essential for a college or university to see your child beyond their test score. Parents have very little control over the outcome of the SAT or ACT. We have much more control over the transcript: what goes on it, how the information is presented, and what it tells a college or university about your child, that will set them apart in a sea of applicants with similar test scores. How and When Do I Start? If your child is doing high school-level studies, then that is ideally the best time to begin. It is only necessary to record high school-level courses and grades on your child’s transcript. For example, if your 13 year old is taking a 10th grade US History class, then that should go on their transcript. If that same child is taking Pre-Algebra (an 8th grade class), then that will not go on their transcript. At first, your transcript may simply consist of notes in back of your agenda (like mine, see pic below), or a note in Evernote, or even the beginnings of a spreadsheet. Whatever works for you is fine, but even the slightest bit of organization early on will benefit you in the long run. If you took a look at the few sample transcripts above, you might end up with more questions than answers. In the state of FL, home educated students are not required to keep track of grade levels or grades, nor do we have any course requirements, or even attendance requirements. So, just because some of these samples have subjects listed, or things like Physical Education, and number of days attended, do not be alarmed. You can include only the things you need to in your child’s transcript. When you start looking at sample transcripts you may also notice that there are different ways to arrange the information. For example, you can arrange the transcript by Subject, Academic Year, or Grade Level. I am not going to suggest any method over another, because what will best suit you really depends on your particular situation. You can put as much detail into the transcript as you want or need. As homeschoolers we have a lot of flexibility in subject matter, course material, and hands-on activities. As the principal, guidance counselor, and lead teacher of your homeschool, it is up to the parent to distill all that information into a transcript that best suits the desired outcome. As registered homeschoolers in the state of Florida, we are not required to keep our children’s portfolio for more than two years. However, some elements of the portfolio will be necessary to refer to while building your child’s transcripts. I highly recommend NOT disposing of your child’s portfolio until you have logged any necessary items on your transcript (or in your notes). It is much harder to go back and create a transcript when you no longer have the reading log or activities log to back up what your child has studied. Things like titles and publishers of textbooks, seminars attended, hands-on projects that they have been involved with, etc., all these things might be necessary for you to build an accurate transcript for your child. If your child is in the early stages of high school, the easiest way to go about the process of building a transcript is to consider where your child will go after high school. If college is the destination, then even if they are just beginning high school, you can still use the process of building a transcript as a way to organize and plan ahead. I will illustrate this with an example from our own family. My eldest daughter is 15. She is about one third of the way through high school right now. 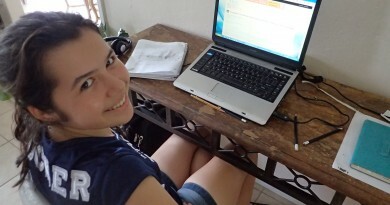 She has decided that she wants to go to college to study Marine Biology. She also has decided that she wants to dual enroll in a local community college. 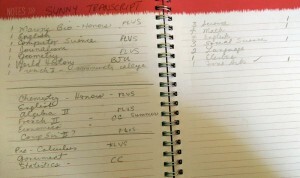 This may look like chicken scratch, but it is the beginning notes of my daughter’s transcript and academic plan. On the left is what she has completed and what she needs to complete. On the right is my tally of what she will need. Armed with this information we started putting together a basic summary of what she had completed so far. We also created a rough outline of what classes she would need, along with some ideas on what curriculum we might choose to achieve those goals. Now, you might not have a child that knows what they want to study in college at the age of 15. Nonetheless, you can still do a quick search for colleges nearby, and based on their general admissions requirements, have a rough outline of what courses your child will need to complete in order to be considered as an applicant. What Makes My Transcript Official? In the state of Florida, a home educated student needs signed affidavit by the parent or legal guardian attesting that the student has completed a home education program in order to graduate high school (FL statute 1007.263 section 2(a)). In order for your transcripts to be legal and official, they need two things. First, at the top it must state clearly the words OFFICIAL TRANSCRIPT. Second, it needs the parent’s signature as the school official. That is it. The transcript does not need to be signed by a certified teacher, or a representative of the school district, your evaluator, or the president of your co-op or support group. By law these people have no jurisdiction over the education of your child. The parent is the school official that must sign the document, and it can also effectively serve as the affidavit stated above. If you want to get super fancy, you can take the transcript to a notary public and have your signature notarized, but this does not make it any more legal or offical. There are usually free notaries at your local bank. Our bank, Wells Fargo, notarizes documents for free for bank patrons. But, again, it’s not necessary. If we are homeschooling our children through high school, then we need to make sure we get this part right. Our children may ace or bomb the SAT or ACT, but the transcript is our responsibility. It doesn’t have to be scary, or even brain surgery, though. 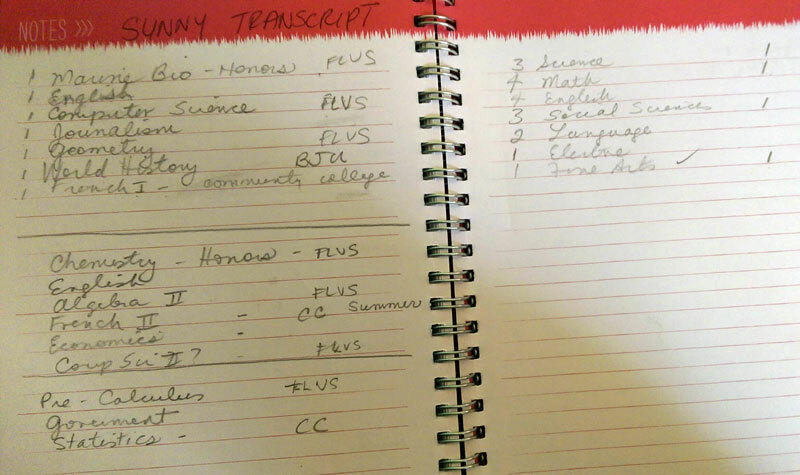 I find it helpful to look at high school transcripts as a way to help us plan. That way the transcript will build itself as we go along. Hi, I have one question, the process to apply to a college or university involves to show grades, homeschooling kids have no grades so how they are admited to Universities? Mario, not sure why you think that homeschooling students don’t have grades? That is not the case. Not only do they have grades, they have GPA’s, credits, and all of those things go on their transcripts. Those transcripts are reviewed by college and university admissions personnel (along with their SAT/ACT scores if they took them) just like any other student in the country.